We continue along on our club level series and though we only have a few resorts left we have some great club level options left to explore. Next on the list is Beach Club Resort which is located next to Yacht Club in the Epcot Resorts Area. GREAT LOCATION! Okay, now that you know it is where you want to be location wise, let’s see what Beach Club has to offer for club level. 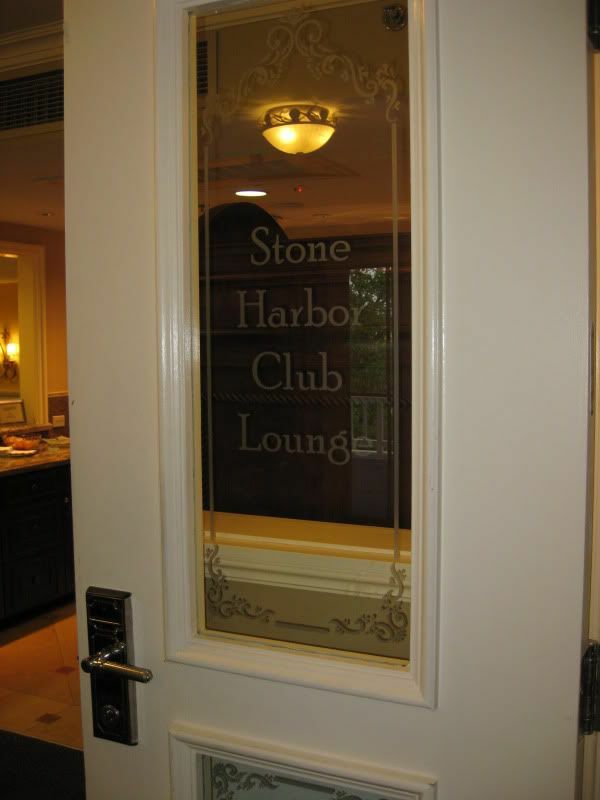 First, the concierge lounge which is named Stone Harbor Club at the Beach Club Resort. Club in the main building and concierge rooms can be found throughout Beach Club and not all of Beach Club rooms have balconies. This is a bit of a downer for some who want to slip over late night in their comfy clothes (aka pajamas) for a treat. Also, if a balcony is important then please make that known and maybe a move to a different resort is in order or at least a request. Club or Concierge level at Beach Club is made up of 95 rooms and suites and offers the upgraded service and amenities all Disney club levels offer including private check-in, a few additional amenities in room, turn down service, some treats, itinerary planning and depending on where you are a few potential extras. Beach Club’s concierge though does not exude extra’s so if you are used to say AKL or G-Flo concierge do not be prepared for Wow. I would say be prepared for a little love and some decent lounge food! Speaking of lounge food – here is some fun Stone Harbor Club offerings you can drool over because these are not to be missed! Stomalong Bay Breeze is a non alcoholic offering that makes me want to drink more please! It goes along so well with Beach Club’s laid back, beachy vibe and rivals POG juice (NO it does not win!) If you are a seafood fan (surprise surprise, get it BEACH Club) then I am sure you will dine often on the conch fritters with cajun remoulade, crab rangoon with sweet chili sauce, and bacon wrapped scallops with a mustard dipping sauce (and who can not eat a meal here???) For friends of the Fish like me you can go with the Beef and Blue with Roasted Shallot Aioli (not a friend of the cow so much) or Vegetable spring rolls with sweet chili sauce. There are many other options and of course these are the ones that are highlighted for around dinner time. 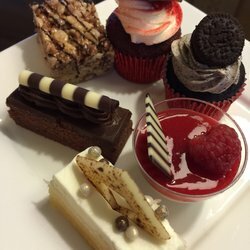 You can still have a continental breakfast in the morning, snacks and light plates throughout the day, desserts, cocktails, etc. The desserts are amazing and seem endless…I say seem because though many have tried no one has succeeded in finishing. Is Beach Club Concierge my favorite so far? Definitely not but I would not pass it up. A little extra Disney pampering goes a long way and be it for a special occasion or just something you need or want to do – try it out! It may be YOUR favorite. 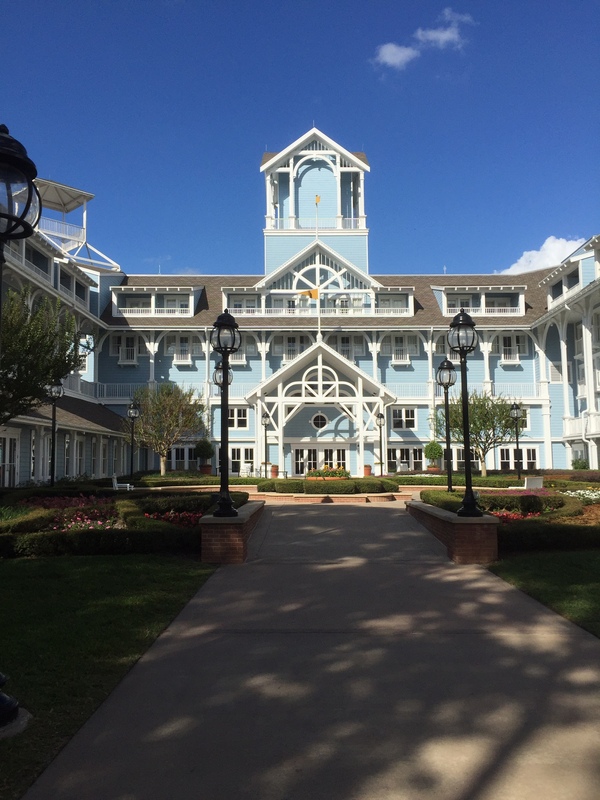 This entry was posted in Disney World, Resorts, Uncategorized and tagged Beach Club Concierge level, Beach Club Resort Club Level, Beach Club's Stone Harbor Club, Disney's Beach Club Resort, Disney's Club Level, Disney's Concierge Level, Stone Harbor Club by Tara. Bookmark the permalink. Tara is a Travel Agent that loves Disney...in her world a perfect combination! She loves to read, play tennis and travel the globe. Which club level is your favourite ? Well first hello to our friend from the North! Favourite gave you away! Great question. First I need to say some of these reviews are “reviewed” based on tours I have done (in trainings or other things)in combination with other info and sources rather than me having stayed at that resort on holiday. So, perhaps my answer would be different if all experiences had been on holiday with loved ones. Okay, but with that said I can say this is tough because there is not a bad one in the lot. Hmmm…okay I actually am going to give you two because I absolutely can not choose between them. So my two favourite (as of today because check back for changes) are Poly and Animal Kingdom. So, many reasons but the main differences for each resort come down to food because so much else is the same. The food is inspired and provided by the on-site restaurants (or kitchens)and Poly and Animal Kingdom both have my favourite resort restaurants. Also, Poly has Pog juice and at night turn it into a cocktail. It is hard to not just pin the blue ribbon on them right there. Okay, so for now those are the two. Tell me – do you have a favourite or a guess to what it might be based on reviews or anything? Thanks for the question and for the favourite spelling because clearly I enjoy that.